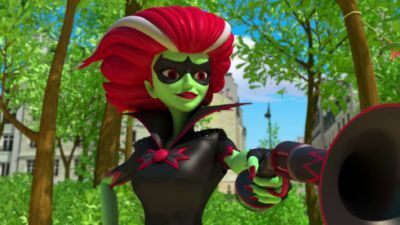 After being humiliated by Gabriel, Chloé's mother Audrey is akumatized into Style Queen, a yellow-flashy supervillain armed with a scepter, and attacks Adrien. Chloé is given the Bee Miraculous, with the command of Pollen the kwami, and transforms into the bee-themed superheroine, Queen Bee. After school principal Damocles is akumatized into Dark Owl, he traps Ladybug and Cat Noir in a warehouse and tries to uncover their true identities. After transforming into Queen Bee to try and impress her mother, Chloé gets akumatized into Queen Wasp. Will Ladybug and Cat Noir manage to stop this superhero turned supervillain? Tikki is troubled because tonight is the kwami cycle and Nooroo is supposed to be 3500 this year. Since this is the only opportunity for kwamis to communicate with their kind (even from a distance) for an extended time, Marinette gives Tikki permission to go. Plagg sneaks out to attend when Adrien isn't looking. Nooroo also tries to leave, but Gabriel refuses to allow it. Wayzz stands guard and Tikki and Plagg go inside the Miracle Box while Master Fu is sleeping, and the kwamis have fun playing. Gabriel senses an unidentified prey with intense emotions and sends out an akuma. Marinette is chased by a frightening Adrien, and then encounters "Sandboy", a Sandman-themed villain who is bringing people's nightmares to reality. Just as the kwamis are about to make contact, they end up calling in Hawk Moth instead. 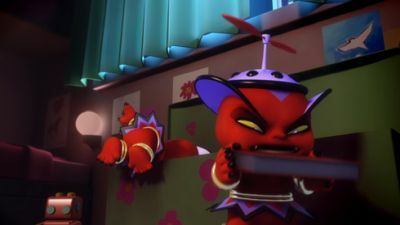 Cutting off the connection, Tikki and Plagg return to their owners. Sandboy chases Plagg, but loses him. The heroes finally go into action, then face their worst nightmares: Ladybug becomes a helpless girl and Cat Noir fights an evil Ladybug. After much struggle, Sandboy is defeated and de-evilizes into a boy who had been terrified from horror movies. The nightmare may be over, but Gabriel is more confident than ever now that he has narrowed down the kwamis' location. While Ladybug, Cat Noir, and Rena Rouge are handling overrun domestic trouble, Kim and a talented swimmer, Ondine, are at the swimming pool when Ondine tries to send a love message to Kim, but he is so dense he leaves without reading it. Sensing Ondine's broken heart, Hawk Moth finds her a perfect prey to akumatize and turns her into "Syren", a mermaid supervillain flooding the city. Water is surging all over Paris and Syren captures Kim to rule the underwater city with her "prince". Meanwhile, Adrien is expressing doubts being a superhero since Ladybug is keeping too many secrets from him lately, then he and Master Fu officially meet. Fu has applied the both heroes a new aquatic power that modifies the kwami to breathe underwater. Gabriel also learns about the hidden power of the kwamis and he wants these for his own kwami, but since only a Guardian of the Miraculouses knows the secret formula, he is determined to find the Guardian, wherever he is. 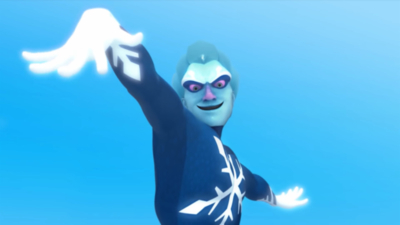 A figure skating trainer named Philippe gets akumatized into Frozer; armed with evil ice skates, he wants to turn Paris into a kingdom of ice. Adrien sneaks out to watch a particular movie, Solitude, in which his mother plays the lead role, but gets mobbed and runs into Marinette whom he turns to for help. Meanwhile, Gabriel suspects his son may be Cat Noir. He sends Adrien's bodyguard after him; when the Gorilla just got his car towed for illegal parking, Gabriel transforms into Hawk Moth and decides to akumatize the frustrated bodyguard to get faster results. The Gorilla becomes "Gorizilla", a giant ape with enormous strength and a keen sense of smell, and begins to follow Adrien all through Paris. Ladybug jumps into action to save Adrien, while the latter tries to hide and transform into Cat Noir to help Ladybug. In the end, when the villain is defeated, Gabriel is convinced he was wrong about Adrien being Cat Noir since he saw both them at the same time (but he actually saw one of Adrien's fans, who disguised himself as Adrien). When the real Adrien returns home, Gabriel shows him the movie he wanted to watch, in order to gain more of his trust. Nino and Alya are playing a battle dancing game in sync while Marinette chats with Adrien via phone. When Alya plans to go see the World Cup fireworks, her sister Nora objects that it's dangerous, considering the number of times Alya had been directly involved with Hawk Moth's villains. She challenges Nino to arm-wrestling to see if he has what it takes to be a man, and Marinette cheats to secure his victory. Unappreciated, Nora does get akumatized into the spider-themed villain "Anansi". She traps Alya and Cat Noir on the Arc de Triomphe, provoking Nino to fight her. With Anansi too strong for a distraction, Ladybug is encouraged to see Master Fu. This time, she recommends his Turtle Miraculous. Ladybug introduces Wayzz to Nino and he transforms into the turtle-themed superhero, Carapace. Once Anansi is defeated, Nino returns the Turtle Miraculous to Ladybug. Though defeated again, Hawk Moth proclaims the heroes will soon be "outnumbered". Marinette apologizes to Nora and the gang rejoices. Jagged Stone decides to guest star in a live-recording television show, Fill My Shoes, where a person is taking part in another person's job, and the show featuring him is taking place at Marinette's parents' bakery. Wanting to impress Jagged, Penny is running back and forward till everything goes out of control and the intermission accidentally gets disrupted, demanding Penny to solve it all. 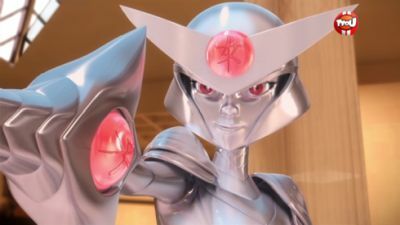 Hawk Moth takes advantage of the pressure on Penny and akumatizes her as "Troublemaker", a villain capable of switching from tangible to intangible, making a big mess, and urges to get back at those who shunned her. Throughout the commotion, the discovery of Adrien's photos in Marinette's room has Ladybug completely nervous. Not ready to tell how she feels, Marinette later manages to convince Adrien that she is just a fan and he invites her to one of his photoshoots. Marinette helps Alya babysit the latter's twin sisters, Ella and Etta. When they keep staying up and refuse to go to bed, Alya forbids them from going to the amusement park the next day and confiscates one of their hats. The twins, sad over the fact they now can't go the amusement park and have to listen to their older sister's orders, are fighting over the other hat, then Hawk Moth akumatizes them both into "Sapotis", a pair of small but totally unpredictable monsters that multiply and cause havoc. When Ladybug and Cat Noir are overwhelmed by the creatures, Ladybug is prompted by her Lucky Charm to visit Master Fu, who loans her the Fox Miraculous. Ladybug gives the Miraculous to Alya, who, with the command of Trixx the kwami, transforms into the fox-themed superheroine, Rena Rouge. 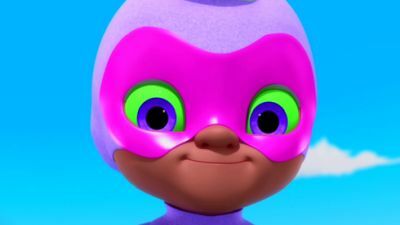 After the three heroes overcome the Sapotis menace, Alya reluctantly returns the Fox Miraculous to Ladybug and keeps the details of her adventure a secret. Clara Nightingale, the famous singer, is in France to film the music video for her new song Miraculous in tribute to Ladybug and Cat Noir. 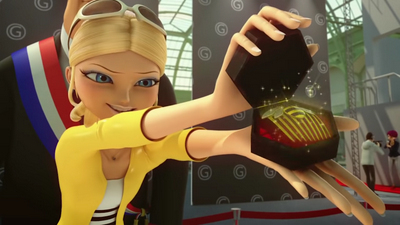 Marinette is overexcited; however, Adrien is worried because he has been chosen to take part in Clara's video as Cat Noir in a duplicate costume, which might expose his identity. 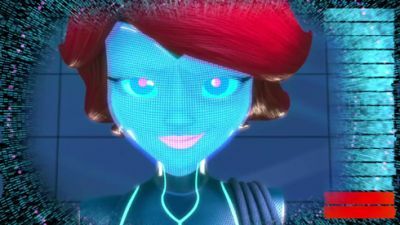 At the audition, after Marinette "saves" her from falling (purposely to find the perfect girl to play Ladybug in the video), Clara decides to cast her as Ladybug in the video. Marinette turns down the offer to protect her identity, but changes her mind when Clara is about to cast Chloé as Ladybug. As Marinette and Adrien are about to put on the duplicate Ladybug and Cat Noir masks, Chloé gets revenge for being excluded by having her father ban Clara from filming the video in Paris. 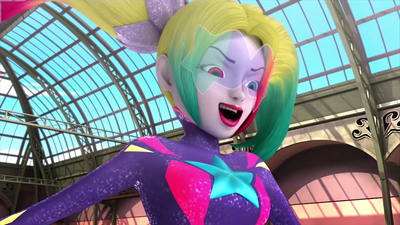 Saddened, Clara succumbs to Hawk Moth's akuma and becomes "Frightningale", a dancing and singing supervillain, who can color the people who dance and rhyme with pink aura by hitting them with a magical mike, while also turning them into magenta statues if they resist to sing or dance. 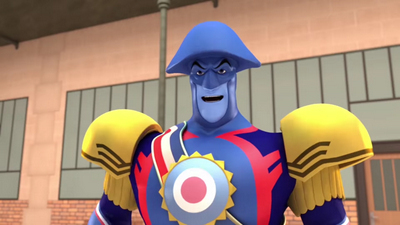 When Chloé threatens to leave Paris, Mr. Bourgeois gets akumatized into Malediktator; invested with absolute power, he wants to make his daughter's dreams come true so that she stays with him.A figure skating trainer named Philippe gets akumatized into Frozer; armed with evil ice skates, he wants to turn Paris into a kingdom of ice. Legendary Parisian ice-cream maker André gets akumatized by Hawk Moth. 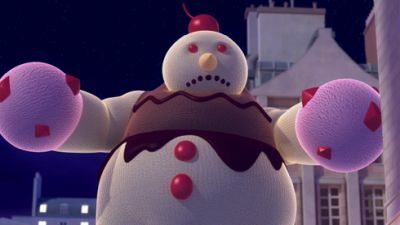 Now Glaciator, he turns people into ice cream... which starts to melt! Ladybug and Cat Noir cannot get cold feet if they want to stop him! When Max builds Markov, a miniature robot capable of real human emotions, he is hesitant to even reveal him. After helping prevent a computer virus from wiping the school's servers, Principal Damocles instead confiscates Markov, thinking that he's a toy. 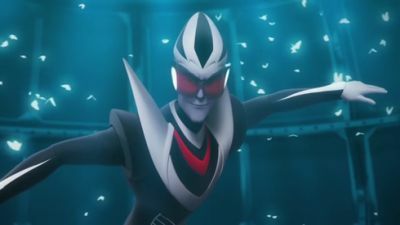 Separated from his friend, Markov even becomes akumatized, and Hawk Moth converts him into "Robostus", a techno-threat capable of giving life to mechanical devices. 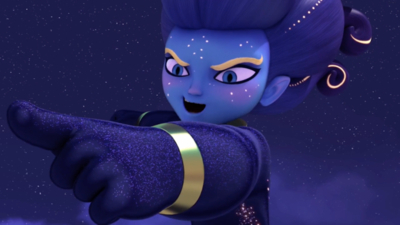 When Hawk Moth tells Robostus to bring him the Miraculouses, he mistakenly informs him of their power to grant wishes. 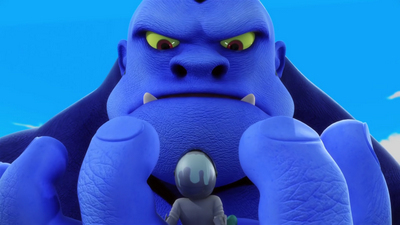 Robostus takes Max with him in his new mega-sized body to the stadium, where he ambushes Ladybug and Cat Noir. When Robostus is about to obtain the heroic duo's Miraculouses, he intends to take them for himself to gain mortality; only for Max, wanting his friend back, to free Ladybug and Cat Noir, who capture and de-evilize Markov. Marinette asks Master Fu, who elaborates the Miraculouses' ability to grant wishes. Due to the universe needing to maintain balance who ever is granted a wish, someone else must lose the very thing wished for. Marinette promises Fu to not allow this, and continue guarding her own Miraculous. After Marinette learns more about the Miraculous book she took from Adrien, she begins to suspect his father of being Hawkmoth. Meanwhile, Gabriel, furious over Adrien losing the book, gets akumatized into The Collector. 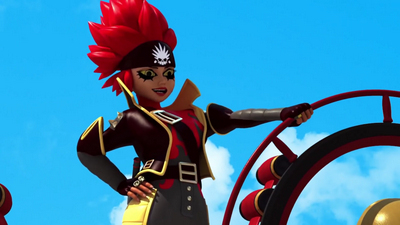 Sweet and lovely Miss Bustier gets akumatized into Zombizou. Armed with an evil black lipstick, she wants to spread love in the city, by force. Hawk Moth akumatizes Juleka's mother into Captain Hardrock, a pirate whose indestructible ship blasts loud music to destroy a music festival. A mysterious masked fencer gets akumatized into Riposte. Armed with her saber, she wants to get revenge on Adrien, who unintentionally humiliated her. To protect him, Ladybug will have to cross swords with the villain! Today is a great day for Marinette: she and her friends, Mylène, Rose, Juleka, Alix and, of course, Alya, have come up with a flawless plan to help Marinette propose a romantic stroll to Adrien. 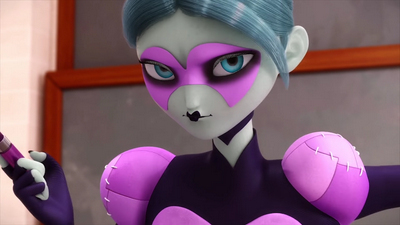 But nothing is going as planned and Adrien's bodyguard, annoyed by the girls, becomes Hawk Moth's target. However, while the latter tries to akumatize him, the Gorilla calms down. The akuma then transforms a young child, who is nearby and upset at not having his candy, into Gigantitan, a fifty foot (disobedient) giant. A shy student named Marc is invited to the Art room. Marinette asks Marc if he could assist Nathaniel in script writing. She reads a fictional journal of Ladybug that Marc drops. Giving the journal to Nathaniel really inspires him and Marinette sets up a scenario where he can meet the author. However, he gets the wrong idea when seeing Marc, accuses him of trying to fool him, then tears the journal and leaves. The misunderstanding causes Marc to be akumatized by Hawk Moth, transforming him into "Reverser", a supervillain whose paper planes can alter people's personalities into the opposite. He hits Ladybug and Cat Noir turning them into weaklings; to make matters worse, Reverser has Mr. Bourgeois direct outer space garbage dumps to descend towards Paris, forcing Nathaniel and Alix to help reverse things. Marinette is excited today is her birthday. Not only that, but her grandmother, Gina Dupain, is also visiting. Despite being excited to visit Marinette, Gina is surprised to see how much Marinette has grown up, but is saddened when Marinette does mostly new things. While hanging out, Marinette heads to where her friends planned her surprise party and ditches Gina. Thinking she was rejected, Gina is akumatized by Hawk Moth, turning her into "Befana", a motorcycle baddie with the ability to turn people who do bad things into coal and those who do good into angels, who become her servants, with a gun filled with candy she wanted to give Marinette. After Chloé sets off a false fire alarm forcing the entire student body to do chores as punishment, Adrien scolds Chloé telling her that she needs to be 'nicer' to people if she wants them to remain friends. Chloé's butler, Jean, has her host a party for everyone and encouraging her to what her old teddy bear would do. Confident, Hawk Moth sends an akuma beforehand. During the party, Chloé tries her best, but when seeing Adrien dancing with Marinette, Chloé loses her temper and Jean accidentally reveals her teddy bear, leading Chloé to embarrassment and to fire him. 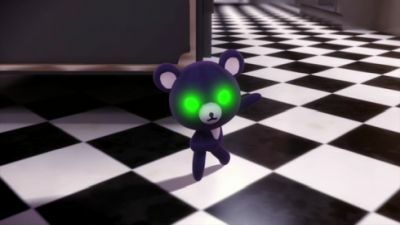 Feeling vengeful, Jean is then targeted by the akuma, and turns into "Despair Bear", a doll-sized villain who has the ability to manipulate anyone he touches. Marinette has to babysit Manon, but realizes Ladybug has to interview for a television show Face to Face, so she invites Alya over and excuses herself to help her parents downstairs. 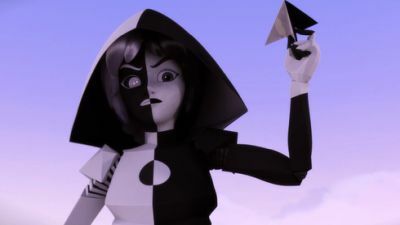 Realizing she needs higher television ratings, host Nadja resorts to asking about Ladybug and Cat Noir's supposed romantic relationship, which causes Ladybug to depart, dragging Cat Noir in tow. The studio is dissatisfied and cancels Nadja's show. Laid off, Nadja gets akumatized, and Hawk Moth turns her into "Prime Queen", a haughty reporter whose ability to teleport through television screens and posters; she creates a show in order to capture the two heroes. Amalia is bitten by a poisonous Red Rose. Ruel says that his old friend, an Eniripsa named Nausica, lives nearby and can help heal her. They learn that the only cure to a Red Rose bite is sap from the rare Severum tree, which is located deep in the nearby Maleficent forest. Ruel and Yugo leave to gather the sap while Percedal and Eva stay behind to help care for Amalia. Not long after Ruel and Yugo leave, Amalia's doll goes berserk, attacking Nausea, Percedal, and Eva. It merges with Rubilax, turning into a monstrous demon. The trio overpower it, forcing Rubilax out and cutting the doll up into pieces, but the pieces turn into other dolls and attack in masses. In the forest, Ruel and Yugo are attacked by giant Venus flytraps, but are saved by a forest dweller named Sybannak. They are forced to help her in exchange for the sap, but when the tasks become tedious and monotonous, Ruel instead decides to steal some sap. Enraged, Sybannak attacks with the Venus flytrap monsters. Rue and Yugo escape with the sap and return to Nausea's where they save Amalia and return the dolls back to normal.